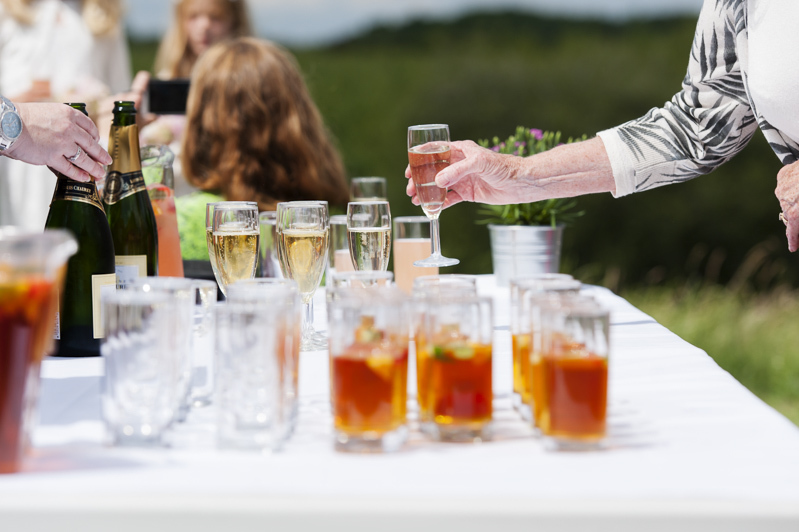 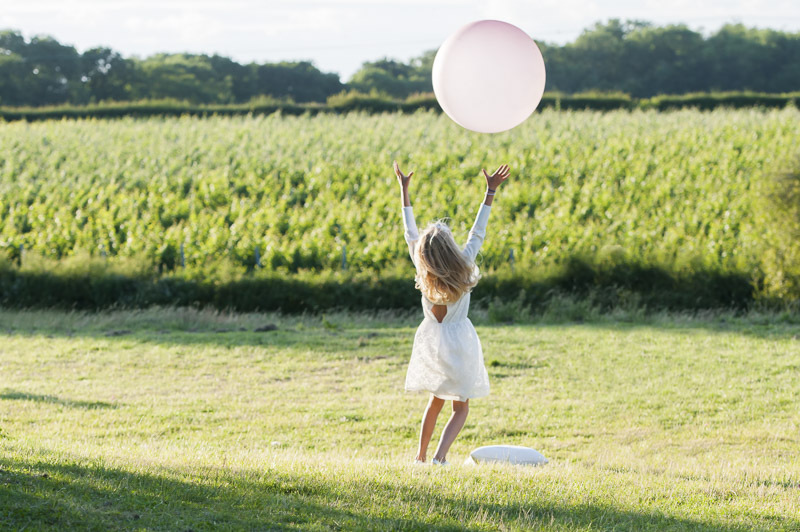 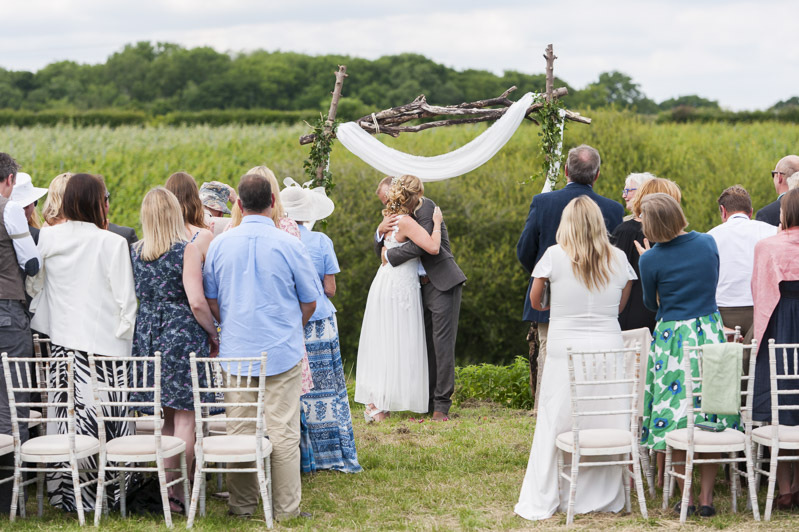 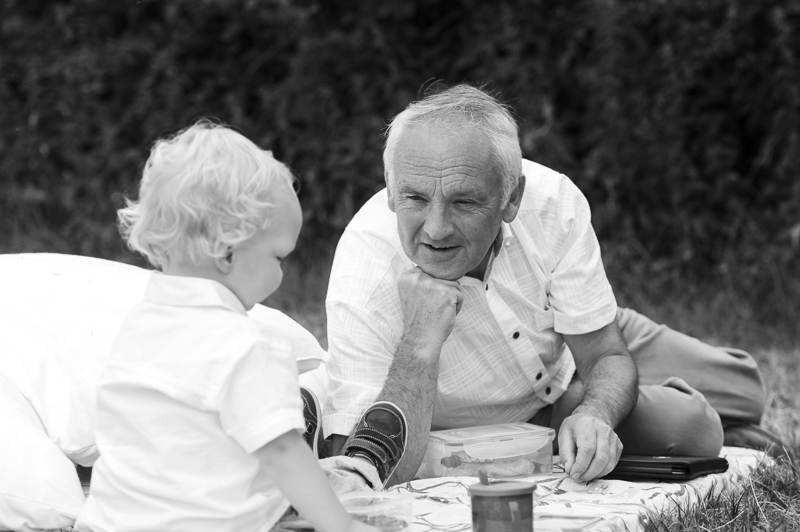 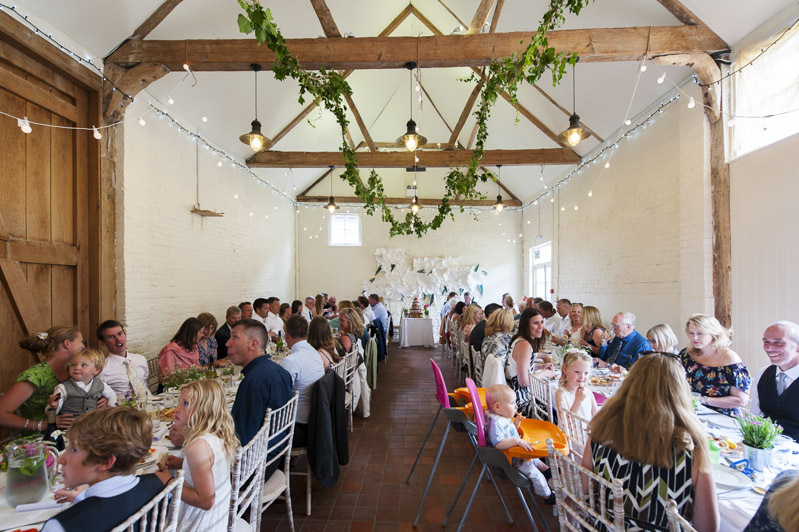 Court Gardens farm is a beautiful rural setting with vineyards and sweeping countryside surrounding a large nineteenth century former threshing barn. 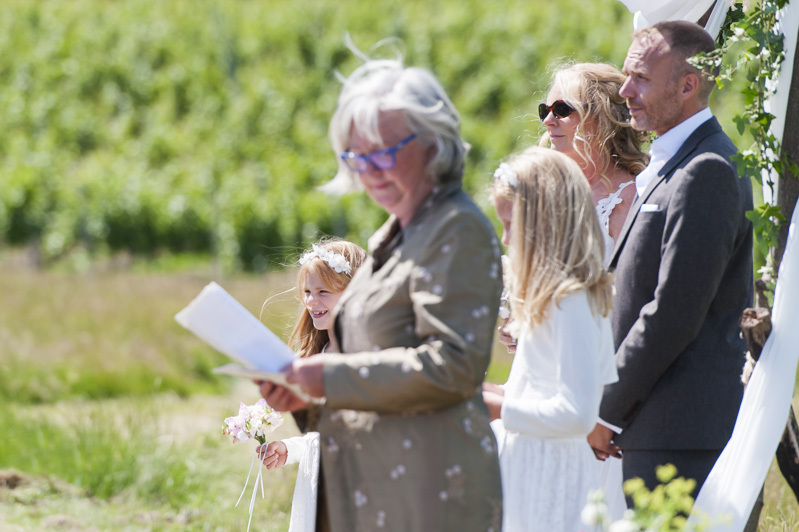 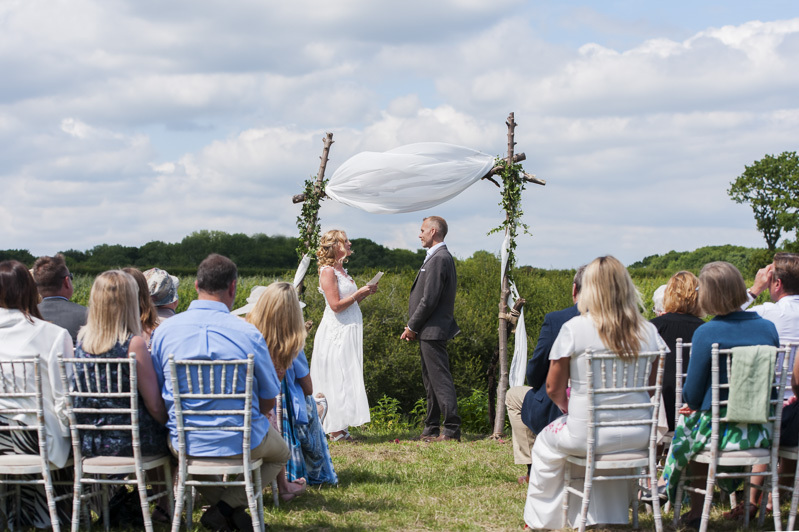 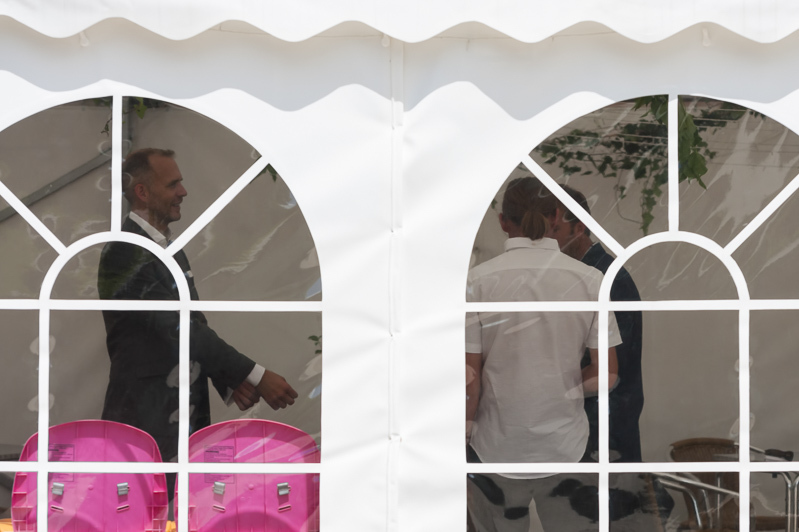 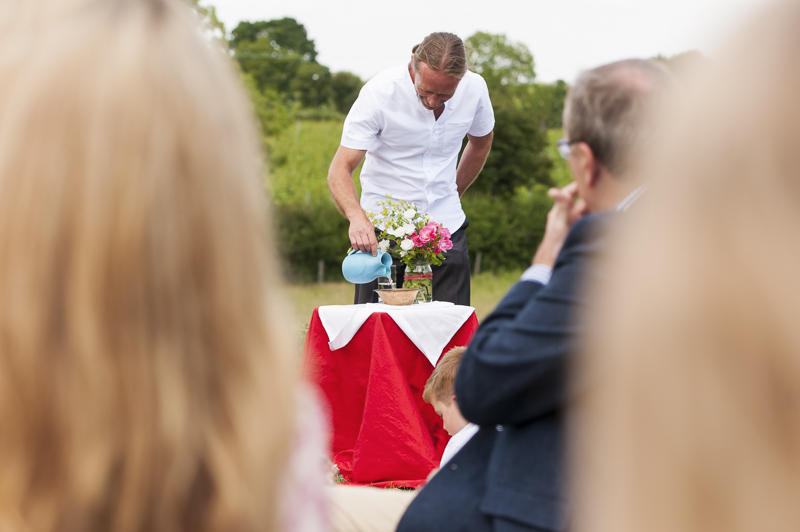 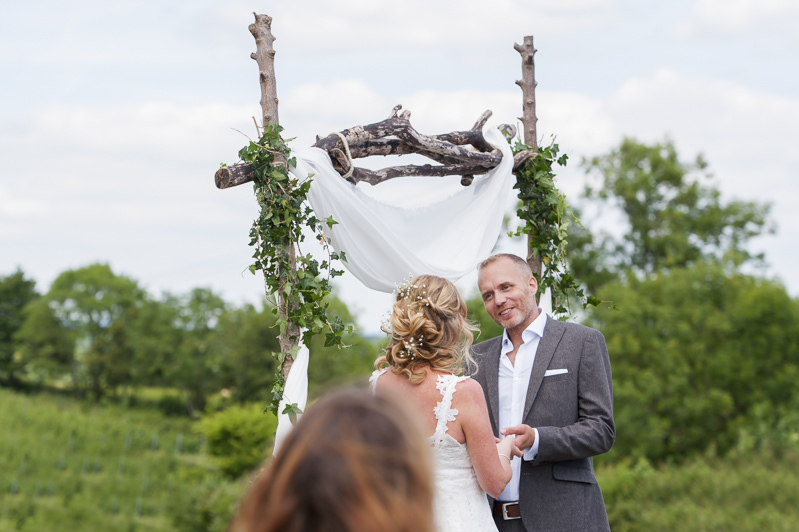 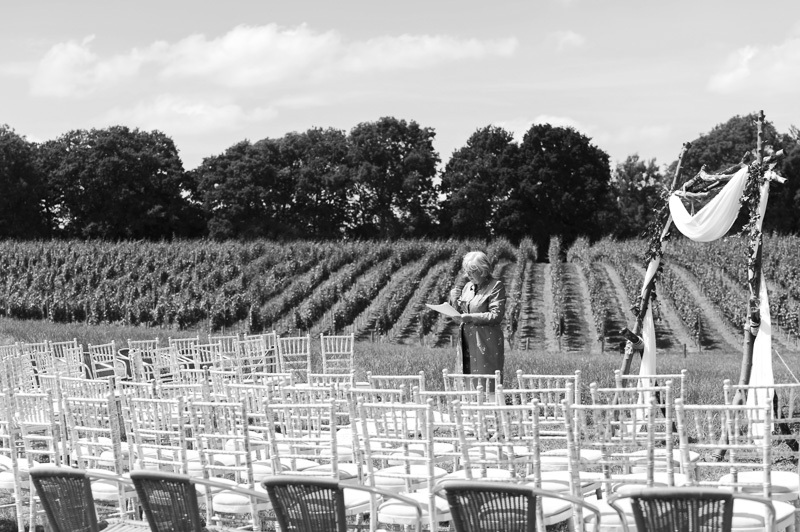 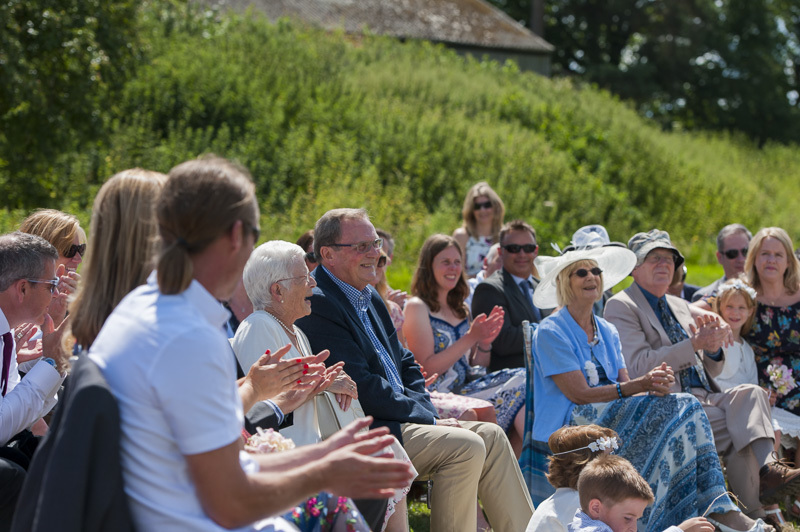 The weather on the day was ideal and it meant the ceremony could be held outside in front of what the lovely backdrop. 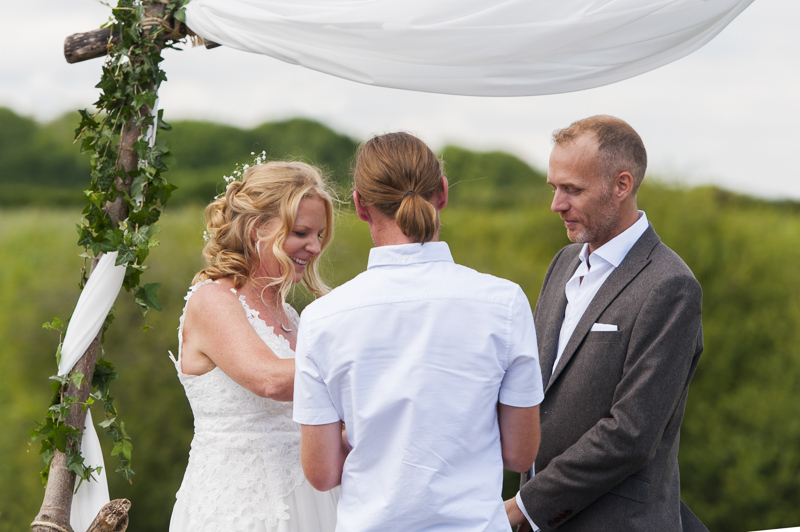 The couple have two daughters and they were very much part of the ceremony which included Nathan, Alex’s best man blessing the rings in seawater. 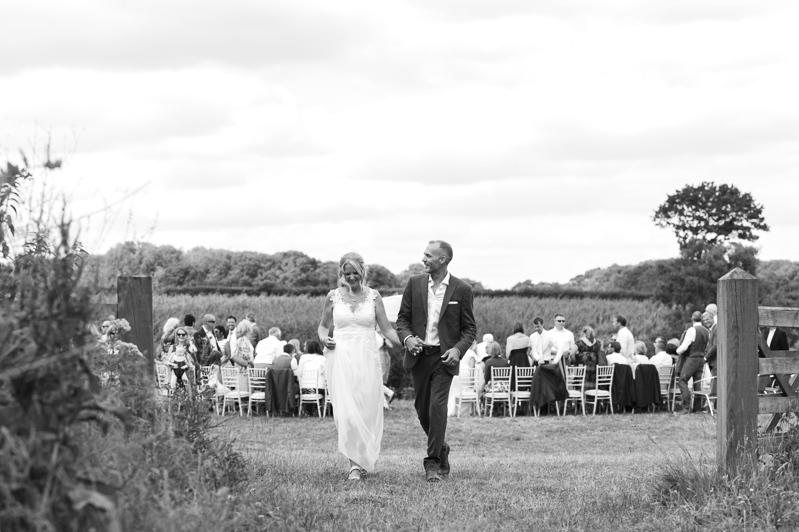 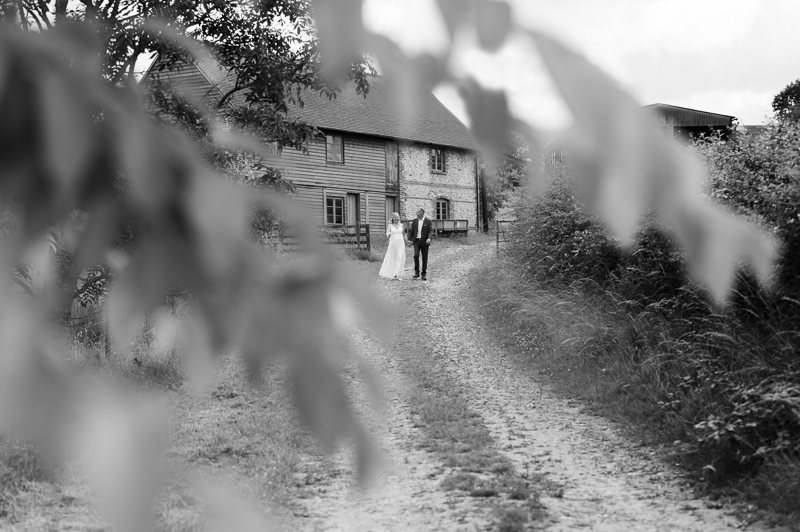 Following the ceremony, Rachel and Alex took a little time out to walk around the grounds before rejoining their guests for drinks and the wedding breakfast. 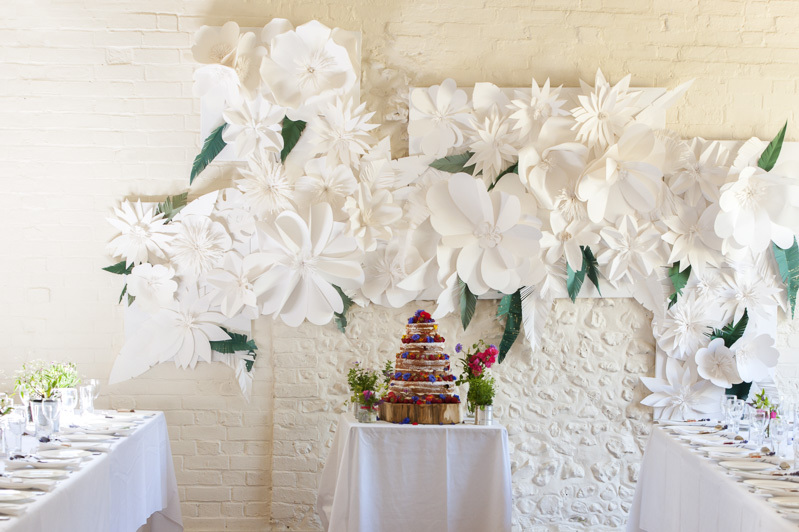 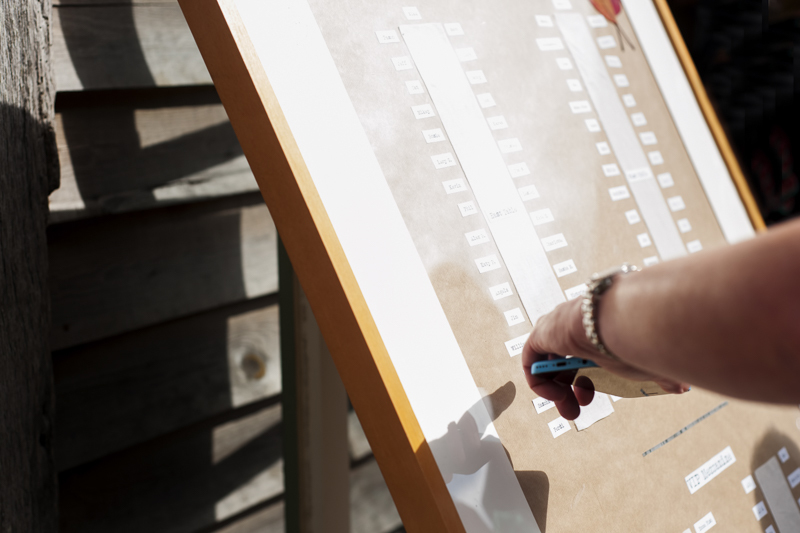 The barn looked beautiful bathed in sunlight which lit up the striking original paper art piece on the far wall. 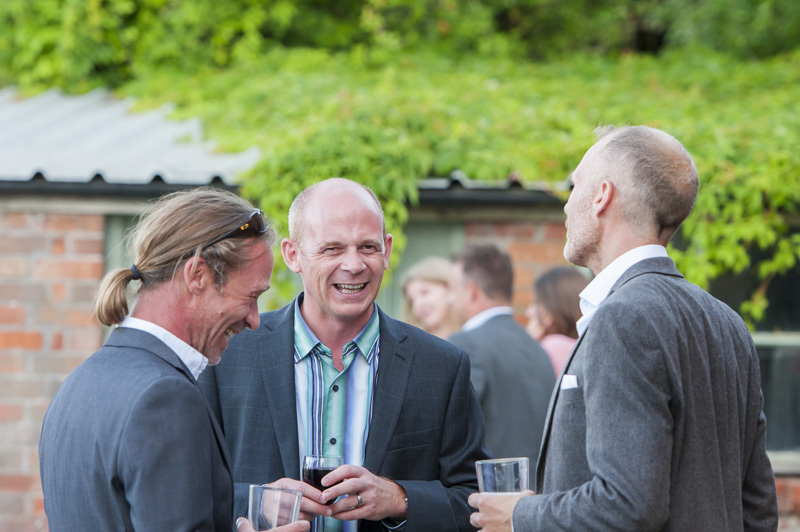 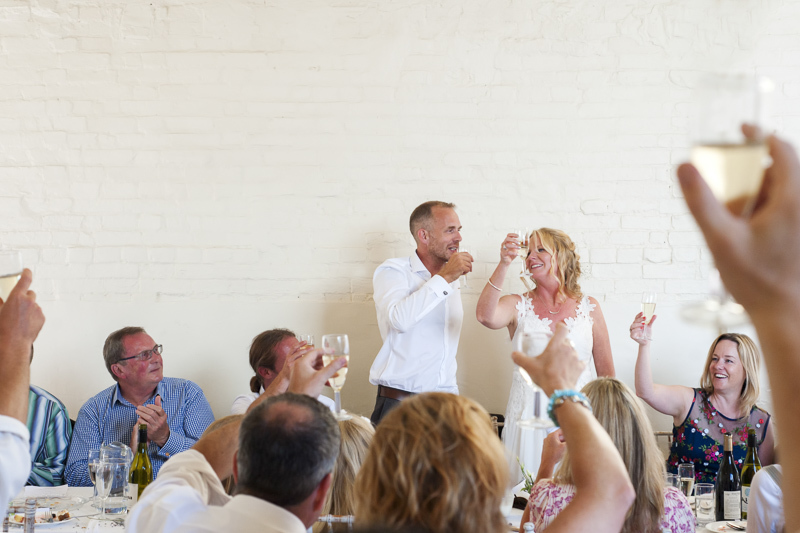 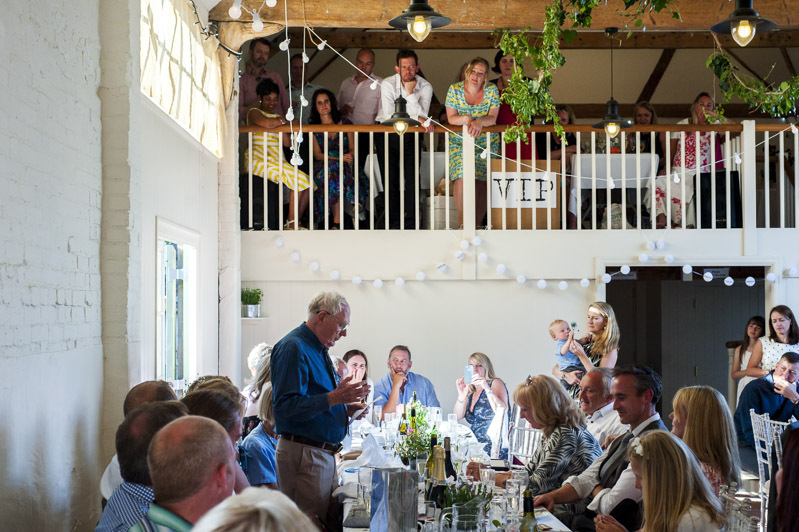 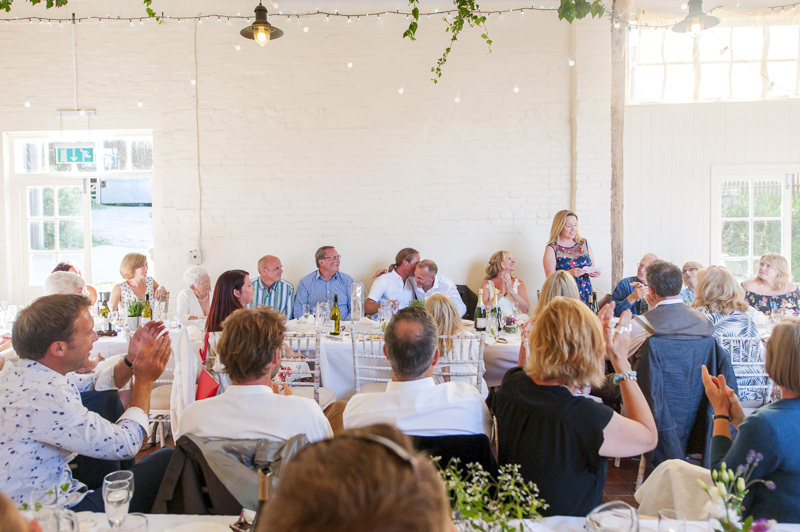 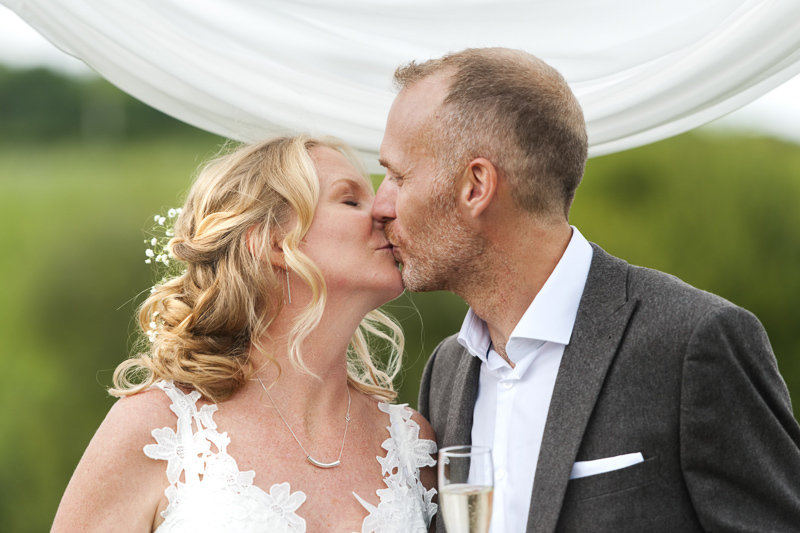 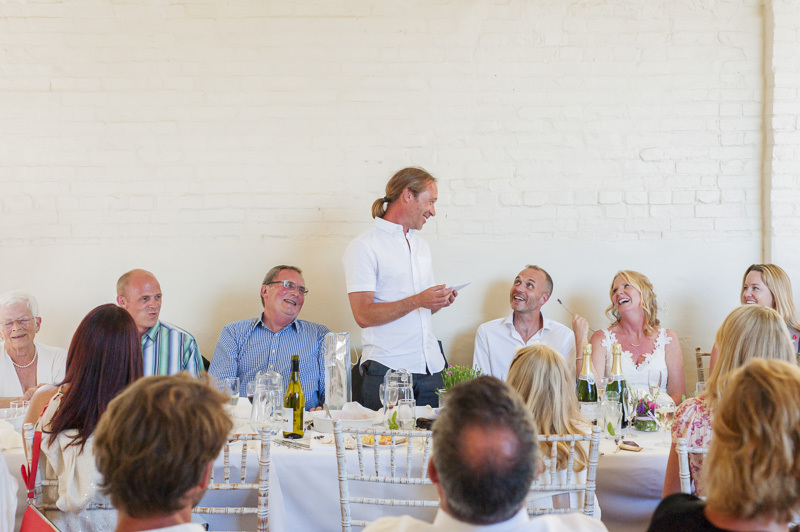 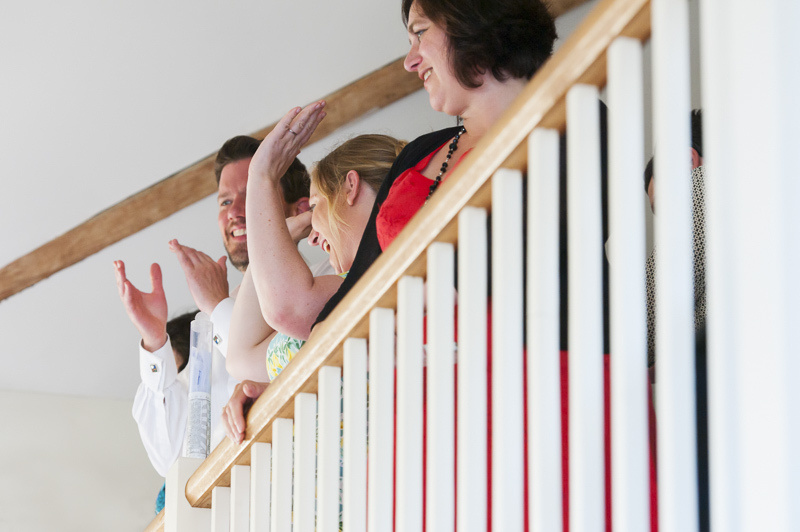 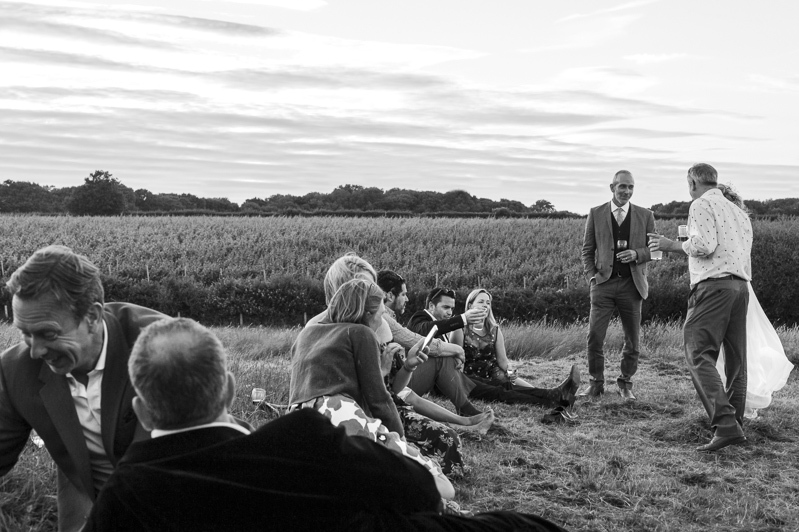 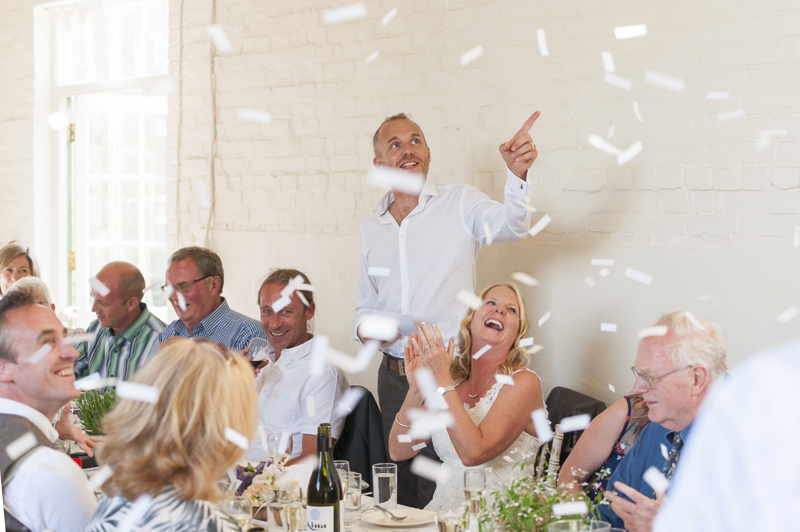 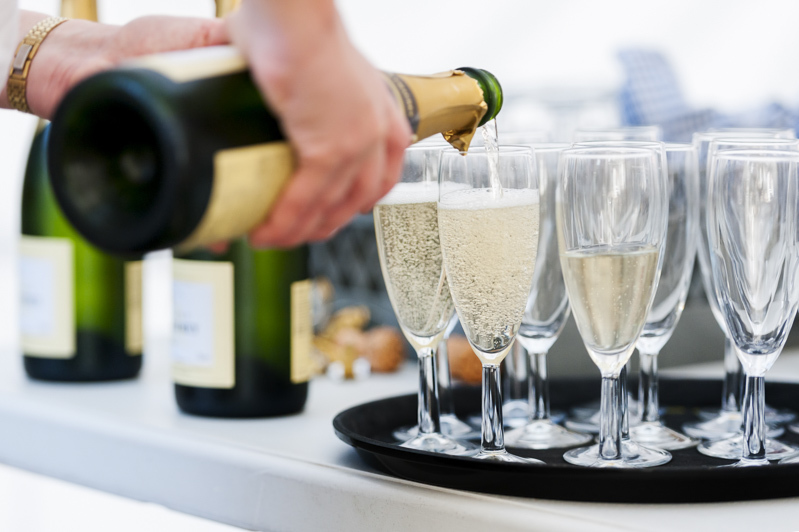 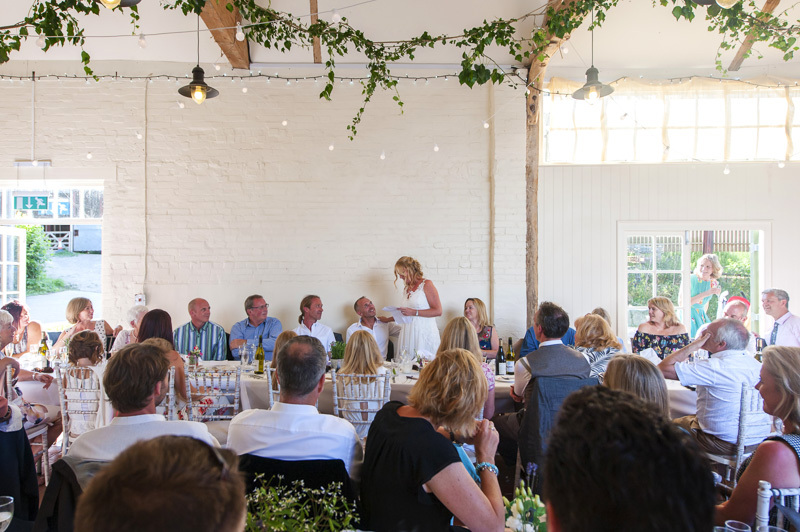 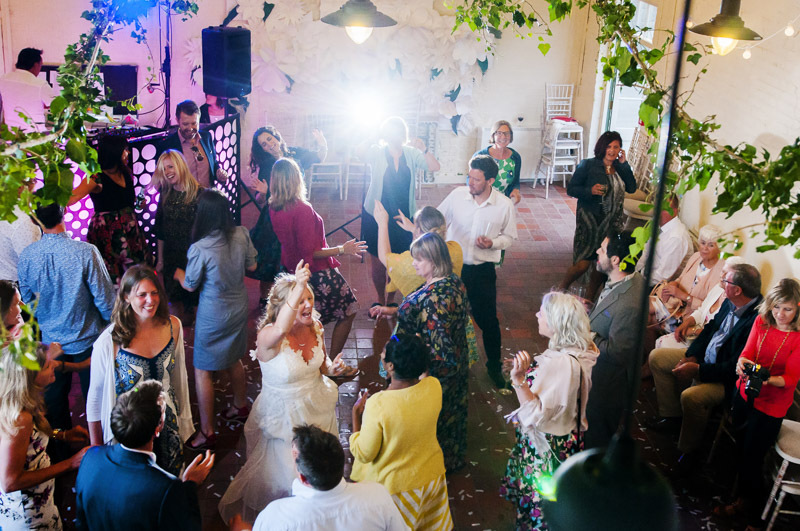 The barn’s mezzanine was the designated VIP area for the meal and speeches and played host to some of the more vocal guests – someone up there also fired off a few well timed confetti explosions, one of them interrupted Alex’s speech with perfect comic timing! 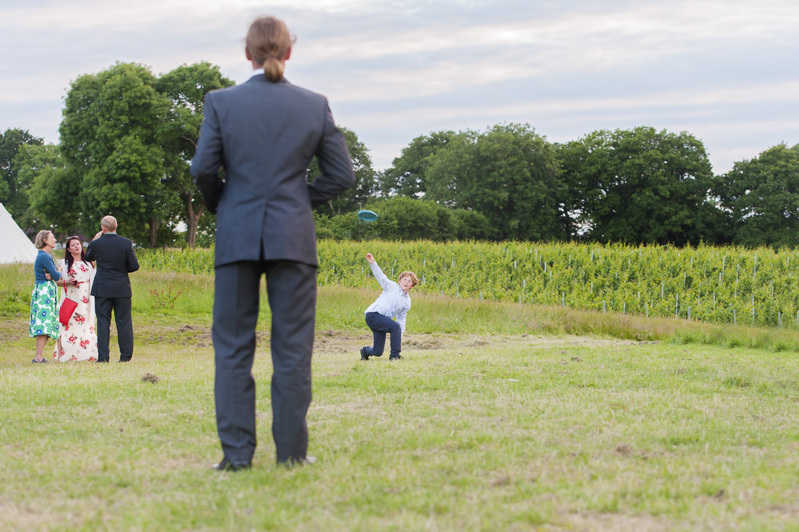 After the meal there was time and space for everyone to do their own thing from playing frisbee to just relaxing and enjoying the warm summer air. 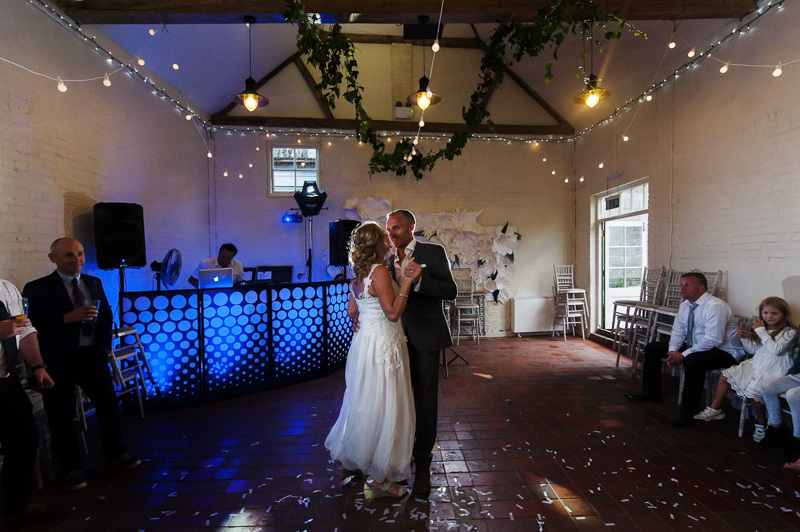 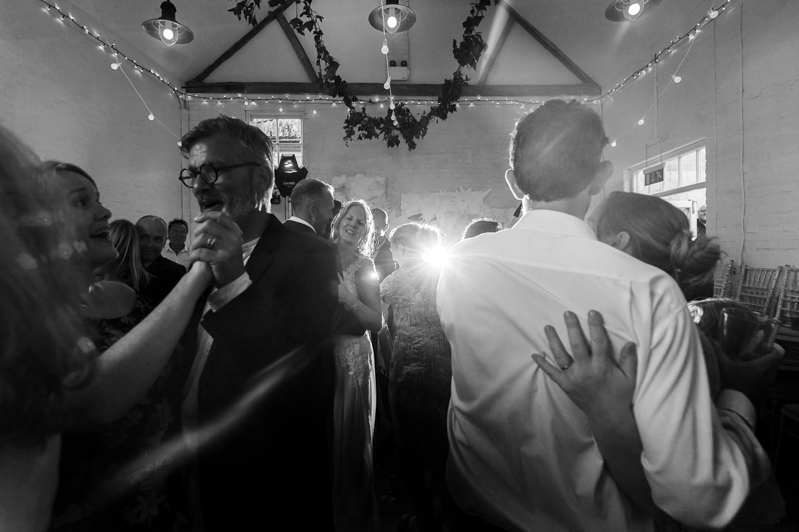 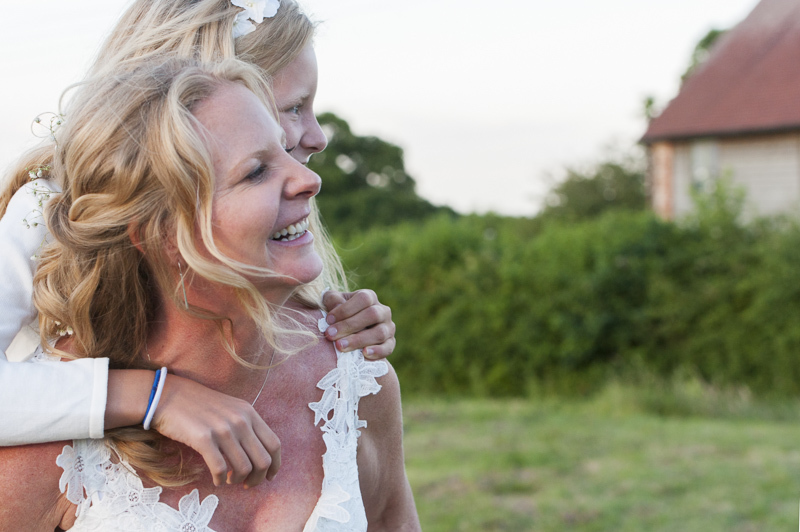 Rachel and Alex’s first dance got the dancefloor going which rounded off a wonderful day.